Piano Playing For Health & Well Being-Sonny’s PianoTV Show 15 – Now Released! 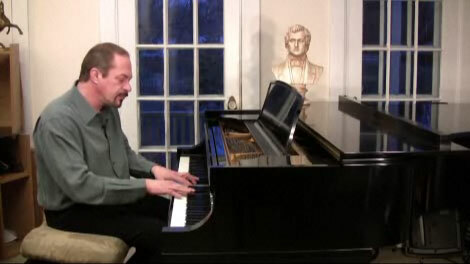 Sonny’s Piano Show 15 in Widescreen HD! 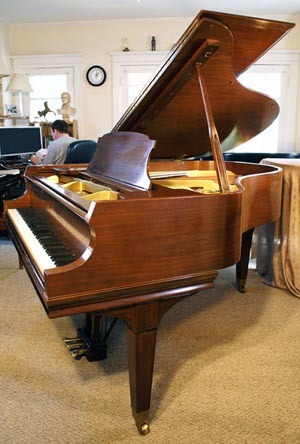 LI NY Used Piano For Sale – Art Case George Steck Baby Grand Piano 4’8″ $4500. – See Video Tour! 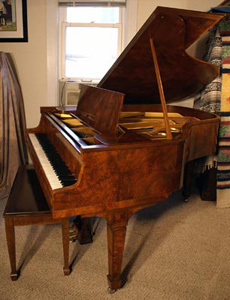 George Steck, Chocolate Mahogany with cherry mahogany inlaid. 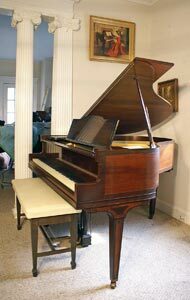 Decorative Case and legs, 1931, refurbished, ivory keys. Excellent condition. Free LI/NYC vicinity delivery. All else continental USA $475. Questions? Call Sonny 631 475-8046. 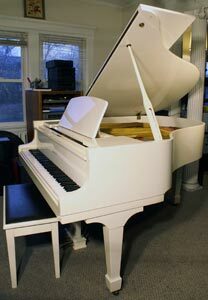 Gloss White 5’8″ Schumann Grand about 20 years old. Big sound, bell like quality. $3950. Free LI/NYC Vicinity Delivery. All else continental USA $475. Questions? Call Sonny. Whether it be nobler to follow the rules and constraints of the accepted comfortable way that came before, or to set out on a new course totally without restrictions. Linked to what came before but not limited by it. The inevitable next step, a leap of faith into the unknown, a course based on one’s own inner compass, overcoming the fear of letting go. Play from your heart, play from your soul, play with complete abandon. Combine all that you know, all your muscle memories and life experiences, synthesize all that you are and just play. To improvise means to live completely in the moment and just breathe, surrender to the experience , let go, merge. Bruce Lee put it this way “When about to fight, do not anticipate the outcome, just be in the moment and breathe. You will know what to do when the time comes.